Morning time starts the same way every day. The thought for how to begin the ritual of morning time was inspired by my previous early childhood career…. I take turns asking both of my children, the stuffed bunny, the stuffed bears, our family dog, and assorted other important “friends” how they’re doing and after everyone has responded, we dig into our morning basket. Please note, I hesitate any time I share a schedule because realistically… schedules change, sometimes daily, but I want you to get an idea of how our morning flows. Sing a couple hymns or worship songs from my YouTube playlist. Say a prayer. We have a set of prayer cards that we created and we choose someone different to pray for every day. Memory work (the children practice reciting a scripture or a poem). I read one chapter from a classic piece of literature. We read Winnie the Pooh and have recently begun Dr. Doolittle. I read a chapter from a biography, or a section from Kayak magazine or Compassion Magazine, or we may listen together to a chapter of The Story of the World. We study a piece of classical music 3 times per week and do related work. I love the SQUILT curriculum. It’s affordable, flexible, and fun for all of us! At this point in time we move over to the kitchen table and partake in an art activity. Watercolours, drawing, and clay are some of the girls’ favourites! Language arts and math are done daily. Health, science, and social studies are done every few days. I’ve included our schedule below so you have an idea of what our days look like. I check off what we do daily. What I love about our morning time is that the girls are eased into their day. We snuggle on the couch under a blanket and enjoy a peaceful transition into learning. Their brains are awakened and activated by fellowship, quality literature, and fine music. 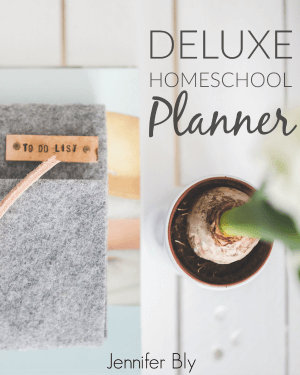 Surprisingly, even though we added this 1 – 1 1/2 hours of “extra” stuff into our days, we are often done our homeschooling earlier than when we previously would just dive into studies. Perhaps it’s because we’ve started our day in relationship – so my children respond better to me or maybe it’s because we warmed up our brains before diving into tough “work”. Regardless, the difference it’s made for me and my children is stunning. I love our days together, I love our homeschool, and every morning I wake up excited to begin our morning time together. I would love to hear if you have heard of morning baskets or if you would consider including something like this in your homeschool? Then, I invite you to share this post with your homeschool communities. « « 5 Dinners, 5 Ingredients, for Under $5 Each! Hi Jennifer, what a joyful post to read. Morning time can be such a blessing. Here in my home, I haven’t quite perfected it yet but some days can be heavenly. With a teenager doing high school work it can be a bit tricky. But when we start out praying together, then reading while they work on a puzzle, deep conversation flows naturally and transitioning into individual work feels much nicer. One of the many joys of homeschooling – the joy of conversation. Have a blessed day! I’m delighted you enjoyed reading about our Morning Time Carlie! I just love it. I feel so inspired and excited every day. I love those joys of conversation – homeschooling is such a blessing. Thanks for sharing your thoughts and experiences with Morning Time. It sounds like you have a lovely morning rhythm. Ours can still be a bit chaotic but I think having a three year old can just do that. I feel I need to incorporate more music into our days. I’m going to look into the SQUILT you mentioned. I love our morning time. It’s such a peaceful time of relationship-building. SQUILT is amazing (and super affordable). Each package contains 10 “lessons” and each lesson is so rich with things to explore, music samples to listen to, that each lesson can be spread out over several days. Congratulations on the move to homeschooling. What a wonderful, exciting, and inspiring journey you have ahead of you! I find that easing into the day helps all of us approach learning more enthusiastically. I’m delighted this gave you some things to contemplate! 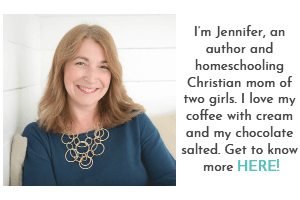 Jennifer, thank you so much for mentioning SQUILT! I love how intentional you are about morning time! We love SQUILT Mary – it’s the perfect way to bring beautiful music into our lives. My children love it too. I only recommend what I love and I absolutely adore SQUILT. Thanks for popping by and reading about our morning times. It’s a treasured time in our days. Thank you very much for this post! This school year is starting out rough for us and while I’m trying to do a morning time with my kids, i often feel the need to rush through it to get to our math and language arts. Everything always seems to take longer than I want and then I end up stressed out. Perhaps I’m trying to conquer too much during our morning time. This gives me good food for thought and some ideas on how to revamp it. I’ve been wanting to do SQUILT but I’m concerned about time. Stacey I’m so glad you took the time to comment and share your struggles. I hope you don’t mind me giving you a little bit of advice here. First off, don’t feel like you have to do everything every day. I shared my morning time plan as it currently stands but it took a number of weeks to build up to that much Morning Time content. Some days we get so absorbed in Bible and praise and worship that we may drop reading our social studies biography or art appreciation. Whereas other days we go so quickly through things that I wonder if I missed something. It’s your school… you can do whatever you like! Try not to put too much pressure on yourself. By the way, SQUILT is amazing – we do it only twice a week and sometimes we do a classical piece over the span of two weeks rather than one week (four mini-lessons). 1,000 times, yes! I love Pam’s Morning Basket podcast, and I do (or did…pregnant and not always up-to-par at the moment, so my husband does an abbreviated version) with our two toddlers! I can’t wait to be able to add to the very little we do right now, and I foresee reading aloud being a pillar of our homeschool for years to come. Morning time is the highlight of my day! I just love spending this focused, relaxed time with my girls. Thanks for sharing your thoughts on this Meredith! You have given me hope that our homeschooling can be stress free and inclusive of my 3 year old! Thank you! Wonderful to hear, Sarah! 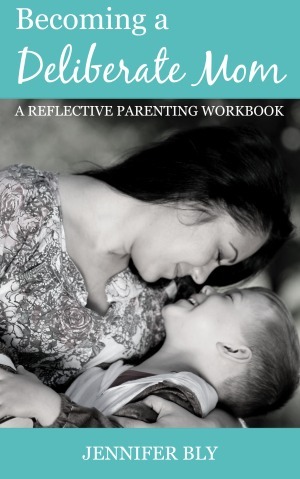 Morning Time is the PERFECT way to include young children in homeschooling older children. We love it! This sounds so amazing!! Our days are so stressful with a 7 year old, 4 year old and very active 20 month old. My 4 year old and 20 month old tend to fight one another the whole time I’m trying to do school and I am so drained by the end of the day. Do you have any suggestions on how to incorporate this method when we have to be out of the house three days a week (my oldest has some delays due to being born a micro premie and has therapies we must attend). I only have one day where we are at home all day and can tackle things “uninterrupted”. Any help is greatly appreciated! I want all my kiddos to be involved and love the peace and presence of Christ as we learn-not the hurried frenzy it seems to have become. God bless! Hi Destiny! Morning Time doesn’t have to be first thing in the morning, but I would recommend it come before the actual sit-down work. We open our Morning Time with the lighting of the candle. My girls know that while that candle is lit, we need to be quiet and focused. We always read the Bible but outside of that, I choose read-aloud books that my girls will enjoy. I read aloud from various subjects too. Science, Social Studies, Health, even Math — when I do this kind of reading, I feel like my children have gotten ample information, so if our sit down work gets derailed, I’m comfortable knowing that they learned a lot in Morning Time. I don’t know exactly what your schedule is like, but try putting Morning Time before you do sit down work, and see how your children respond. The website that the Morning Time Bundle is sold on also has many podcasts with suggestions for how to do Morning Time with young ones. 1) When do you clean up the breakfast dishes? This seems to take me forever with four kids and a dishwasher that needs to be emptied from the night before. 2) How do your girls know when to gather on the couch? My girls take forever to get dressed and come back downstairs. I can definitely answer those questions for you. Our dishwasher has been broken for over a year. So I make sure I start each morning with an empty sink. This means that all the dishes are washed the night before. I eat before my kids eat, so I’m washing breakfast dishes as they’re eating their breakfast. I find things flow a lot better when we go straight from breakfast to Morning Time on the couch. Also, my girls generally don’t get dressed until after morning time or at the end of our “formal” learning time. Even though I have a schedule that works for me right now, it might not work in 6 months… so I make sure to stay observant and flexible. 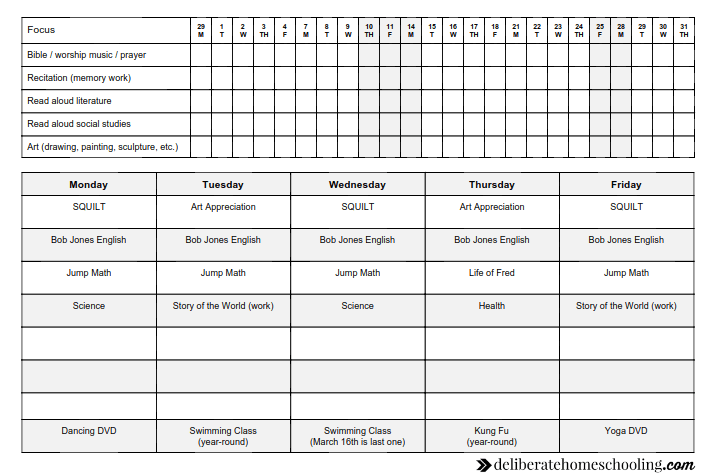 Sometimes it takes a bit of trial and error to find the prefect schedule. I was browsing Pinterest for morning basket ideas, came across your post, and said “Hey! I follow her on Instagram!” Lol! Love your ideas and can’t wait to put them to use. Thank you! I’m delighted you enjoyed our morning time basket ideas! I often write about (and share) our morning basket / morning time — it’s the most beloved part of our homeschool day. Thanks for stopping by and saying hi! Well golly gee, this is the first homeschool blog post in a while that got me MORE excited about homeschool and learning different tricks rather than stressed that I’m “doing it wrong.” We do this a lot, but not intentionally, and I just love the idea of a basket of reading goodies followed by art! My littles would eat this up. I’m so delighted that this post inspired and energized you Jenni! I love Morning Time… it nourishes me AND my children. 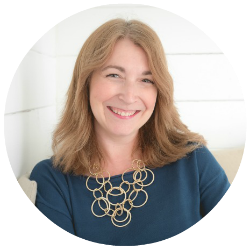 I want to encourage those stressed out moms. I have 10 children; 8 are still being homeschooled (oldest two have graduated) 6 of the 8 are in my morning time. The older 2 are involved in some outside classes for college credit in the mornings. Morning time is indeed wonderful as Jennifer has shown. It is a good opportunity to teach little ones to sit still and listen. They also get opportunities to be involved in discussion or singing and they love memorizing poems!! Reading aloud is invaluable!!! Ive done it all through my homeschooling and i can see the long term positive effects on my kids. Morning time is a time to be together and talk, sing, laugh, discuss, encourage and learn. If all you do is read aloud and sing in your morning time everyone will be blessed. And as stated in this post you can add on a little at a time. Don’t feel like you have to do everything everyday! Or everything RIGHT NOW!! I love what you have modeled and shared here for us all to read- how do you choose which items you will have in your basket? I have 2 children right now and my daughter will be beginning Kindergarten in the fall. We will be doing Five in a Row and then a math and reading program with some handwriting. I only expect to spend an hour a day on those things, while following her lead as well- knowing some days it might just be our FIAR. I have been reading more about Morning Baskets and think all three of us would absolutely love it. I just don’t know how to choose what to use or how to plan ahead with something that isn’t telling me what to focus on or a social studies curriculum that would say which books to read in which order, etc. I know I cannot “mess up” Kindergarten but I still think about these things. I hope this helps! Feel free to message me if you have any other questions!